Ghosn, pictured in Davos, will focus on future of transport projects for the alliance. 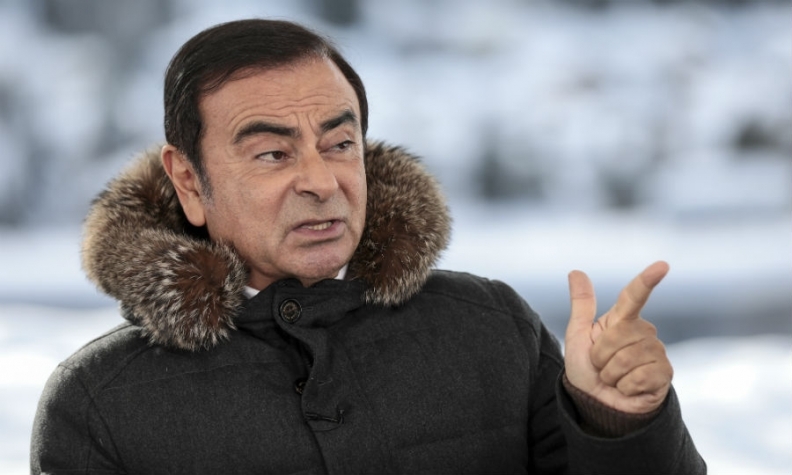 Carlos Ghosn, who heads the Renault-Nissan-Mitsubishi alliance, predicted the revolution sweeping the auto industry will become increasingly visible in the next five years, with self-driving and connected cars more prevalent while consumers shun tainted technologies such as diesel. To meet the changes, the Franco-Japanese alliance is considering partnerships with companies such as Uber Technologies, Amazon and China’s Alibaba Group for its autonomous cars, Ghosn said in a Bloomberg TV interview Tuesday at the World Economic Forum in Davos, Switzerland. As Ghosn, 63, steps back from overseeing day-to-day operations as chief executive officer at Renault, he will focus on future of transport projects at all three members of the alliance. This means continuing to meet executives from tech companies about twice a year, he said, and working to ensure Renault, Nissan and Mitsubishi develop common strategies and platforms. After giving up the CEO post at Nissan last year, Ghosn retains leadership positions at all three automakers. He has hinted that he could leave the CEO job at Renault when his term ends in June, after which he would focus on the alliance he helped build with Nissan and Mitsubishi Motors, two companies where he’s chairman. Ghosn has said the alliance should be led by managers with separate responsibilities for each automaker -- rather than one individual sharing the top jobs as he did. As digital technologies make their way into vehicles, Ghosn painted a dim picture of the future of diesel fuel, which has dominated the European landscape due to tax incentives and fuel efficiency. The share of diesel-powered cars sold in Europe will soon drop to less than 40 percent, forcing automakers to adapt and increase their investment in cleaner technologies, he said. For the first time since 2009, sales last year of cars running on gasoline overtook diesels in Europe, according to the industry association ACEA. The market share of diesel-powered vehicles dropped to 46.3 percent of new cars, from 50.2 percent in the first half of 2017, it said.